The HOKA ONE ONE Hapuna Running Shoe gives you exactly what you need from a pair of cushioned and supportive running shoes, as well as something you might not expect. There is, of course, the low-drop platform HOKA ONE ONE Is known for, putting your stride closer to barefoot, the way nature intended. And the HOKA ONE ONE cushion is still there too, offering you a smoother ride and protecting you from hazards in your path while quieting harsh impacts. What's new though is the R-BOUND™ material that makes up the mid and outsole of the shoe. 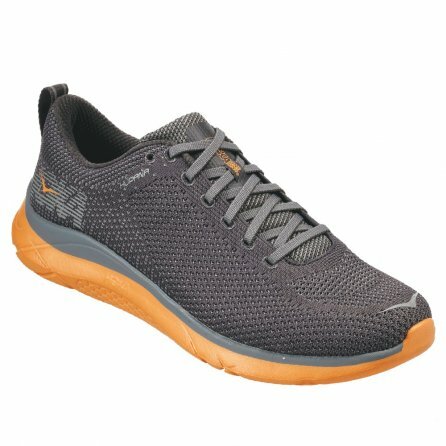 Designed for improved energy return, it lets this shoe give you a serious push while running and improves support and protection on hard surfaces.